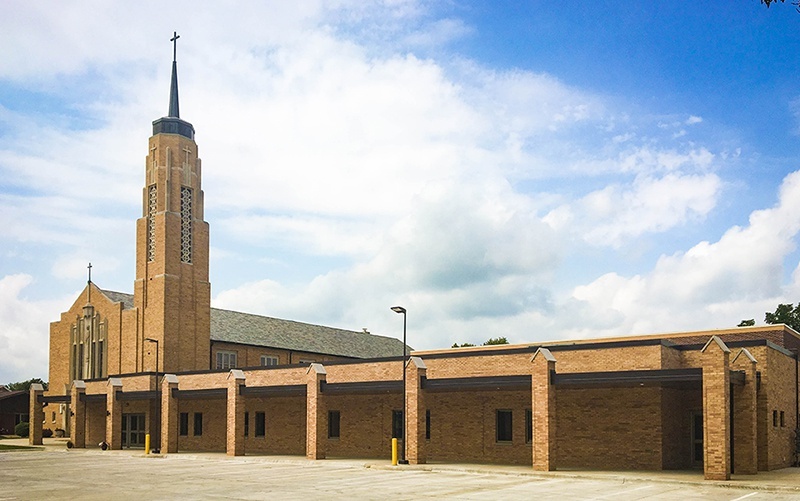 In 2011, Bergland + Cram began working with St. Cecilia to develop preliminary plans and cost estimates for an addition and remodel to their existing facilities. 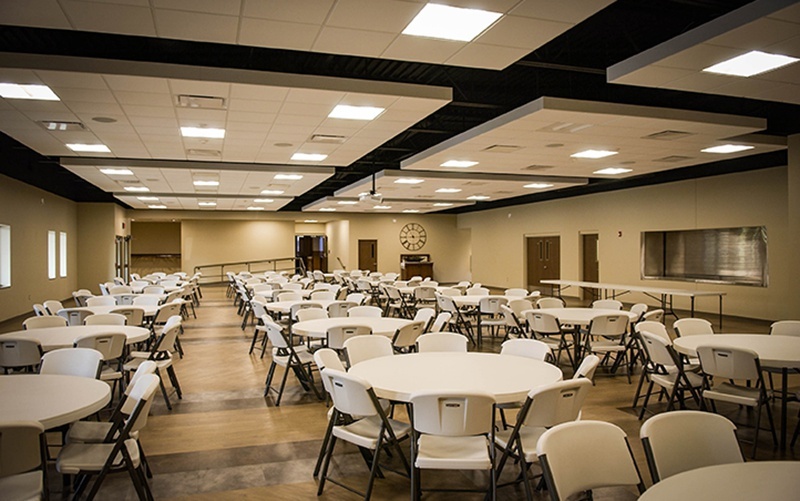 Bergland + Cram worked with a committee to explore and develop a scope of work which ultimately includes a new Parish Hall, rest rooms, meeting space, and renovations to the existing kitchen. 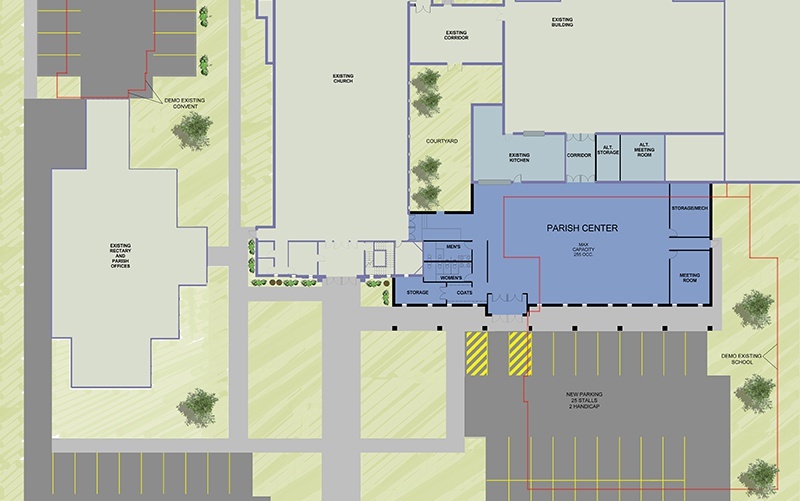 Alterations to the existing church as well as additional parking is also planned. 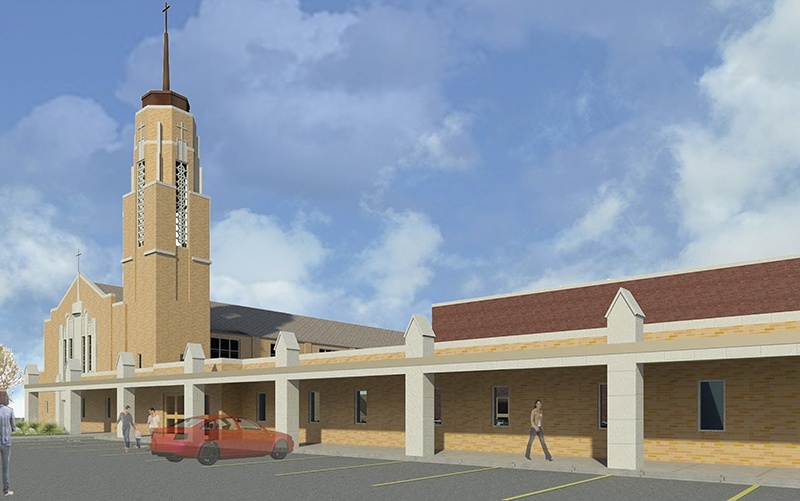 B+C lead an informational presentation to the parish, and provided renderings, floor plans and display materials for fundraising efforts. 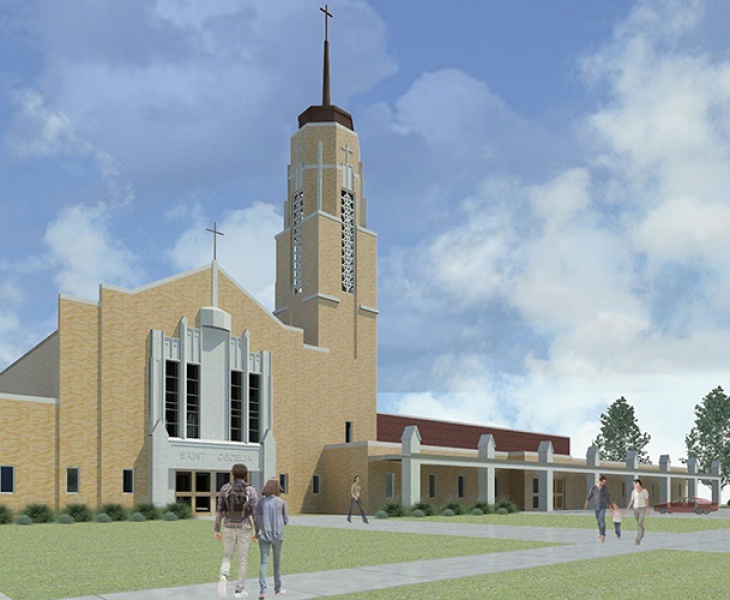 After funding was secured, construction began in mid 2015.